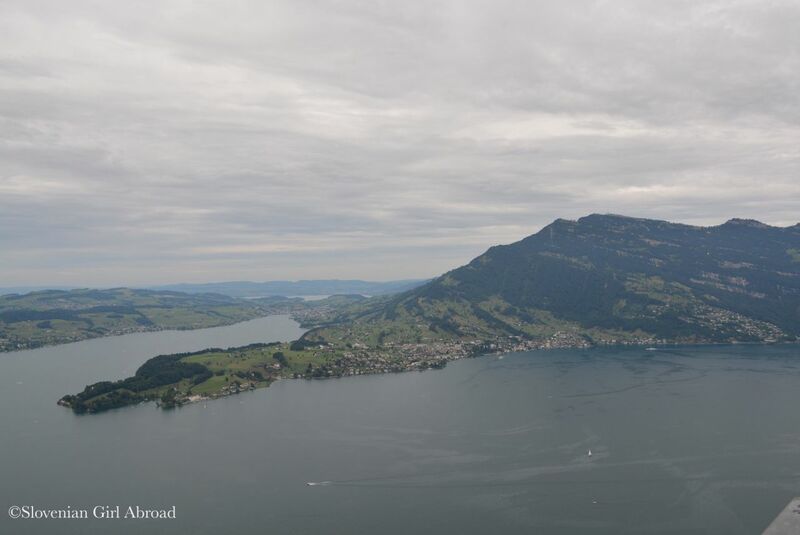 When my brother was visiting in the summer, my husband and I took him to Bürgenstock, a scenic place atop of a mountain ridge above the Lake Lucerne. Some may remember, we’ve already visited Bürgenstock earlier this year. Because we liked this place a lot, we decided to revisit with it my brother. From our home in Lucerne we drove to Bürgenstock Resort, where we parked our car at the parking lot. The resort is still under construction. According to plans it is going to be completed in 2017. We’ve walked past the construction site of the future luxury hotels to the forrest, where we followed the hiking trail to Hammetschwand, the highest vantage point around Lucerne. We took the same path we hiked in April. To get to the top, it took us app. 40 minutes of walking. I don’t know whether it was the great company or because I already knew the trail, it felt much shorter than in April. 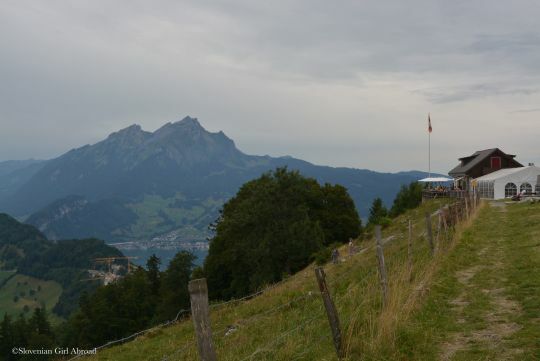 At the top, we were greeted by the great views to the Luzern, Lake Lucerne and the surrounding mountains. 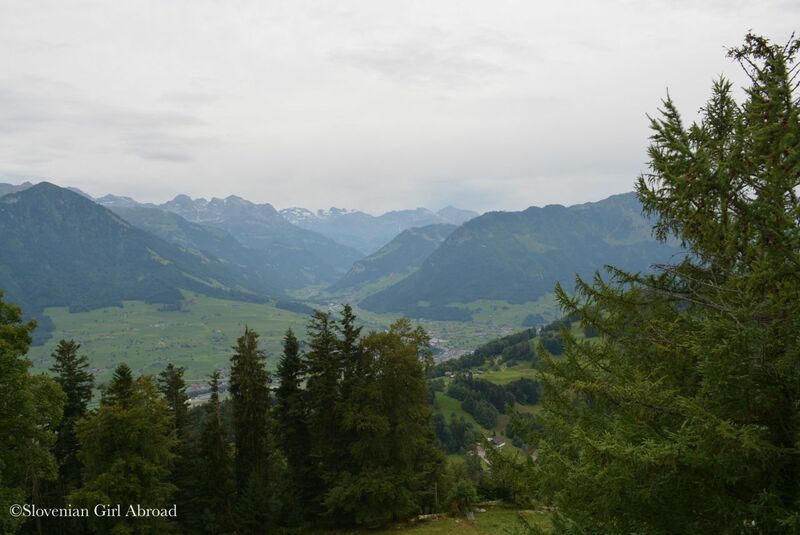 Despite the visibility wasn’t the best, we’ve strolled around and admired the landscape. Even in grey gloomy weather looked great. Once again, I realised how beautiful is the place I’m living in. I felt blessed. In contrast to our pre-season visit in April, was the restaurant at the top open. 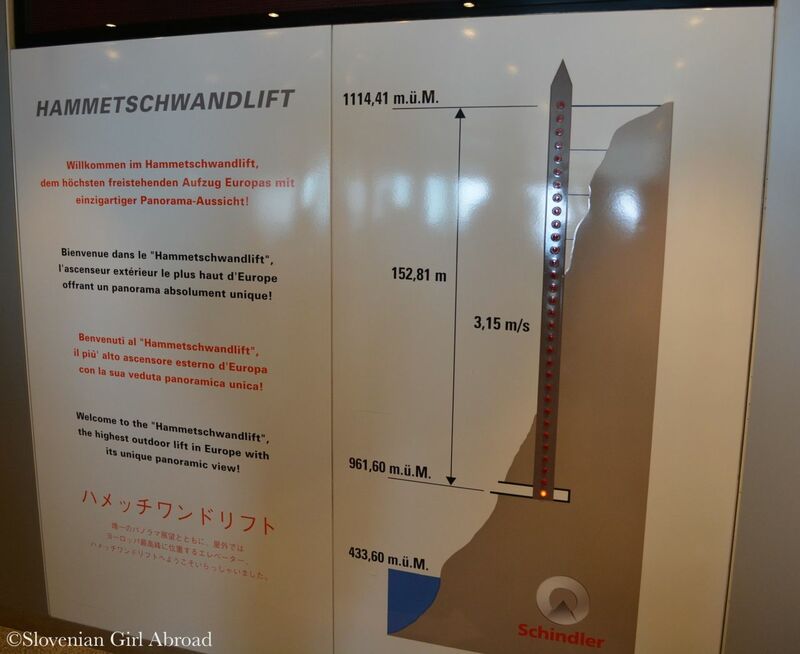 Also, the Hammetschwand lift – a 152,8m high open-air elevator was operating. 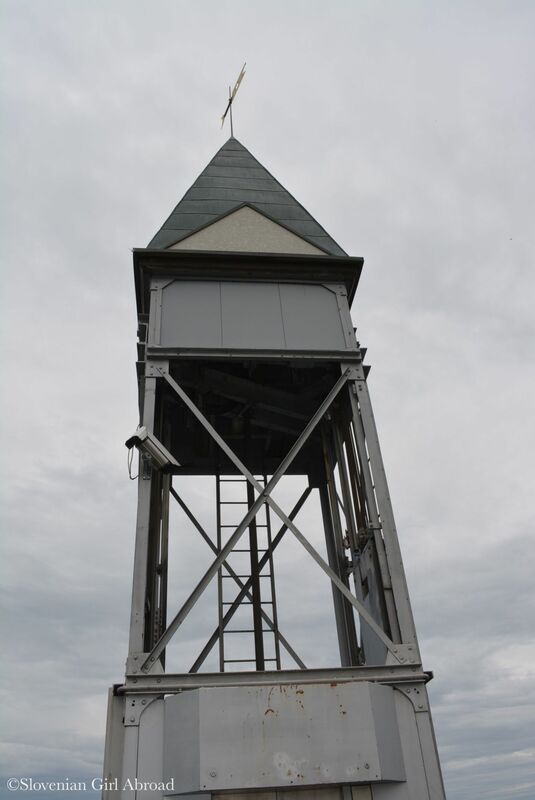 Curious to experience the ride with this elevator made of steel and glass on a rocks high above the lake, we decided to give it a shot. We took a lift down. In less than a minute we arrived at the station. It wouldn’t be nothing special if not for the fabulous views we had a chance to admire through the glass wall. At the lower station we’ve paid 5 CHF per person for the single ride ticket and followed the trail back to Bürgenstock Resort. The lights showing the position of the elevator. 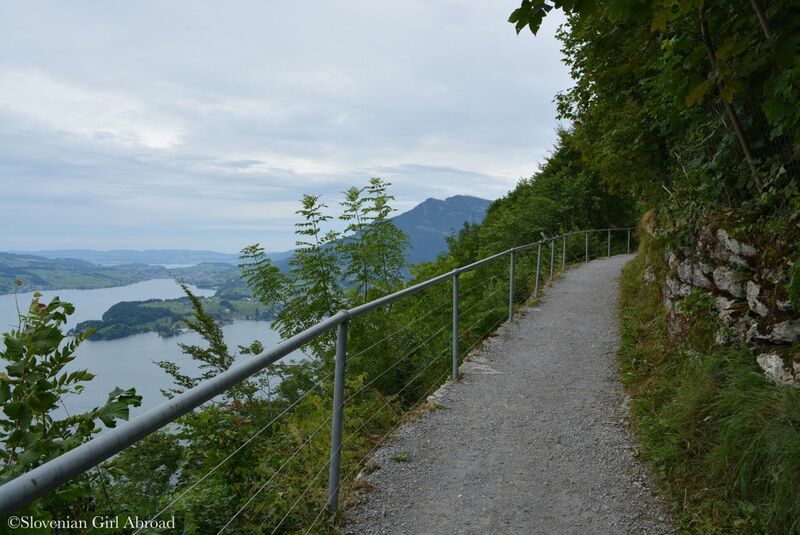 Path to Bürgenstock Resort is called Felsenweg and it runs on the rocks above the Lake Lucerne. It is not as steep as the path we took on our way up and is also more scenic. We all enjoyed the trip. Not only, we’ve visited lovely place, but we also spent some great time together. It was a day well spent. From Luzern take A2. 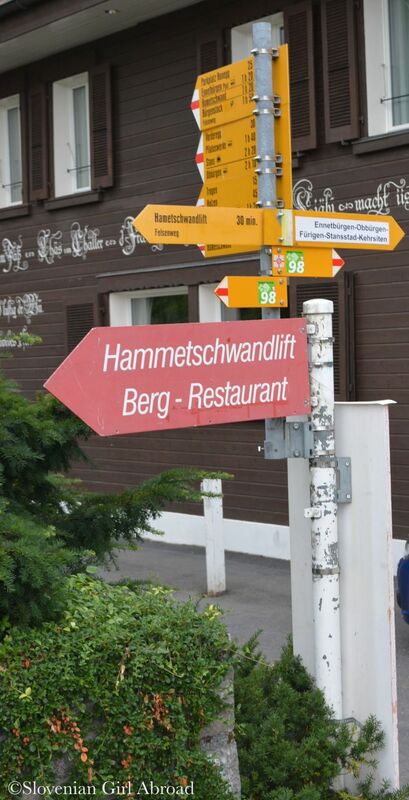 Exit the road at Stanssand/Bürgenstock and follow the signs to Bürgenstock Resort. Take a train to Stansstad and change for bus no. 321 to Obbürgen, alte Post. From there walk app. half an hour to Bürgenstock Resort. 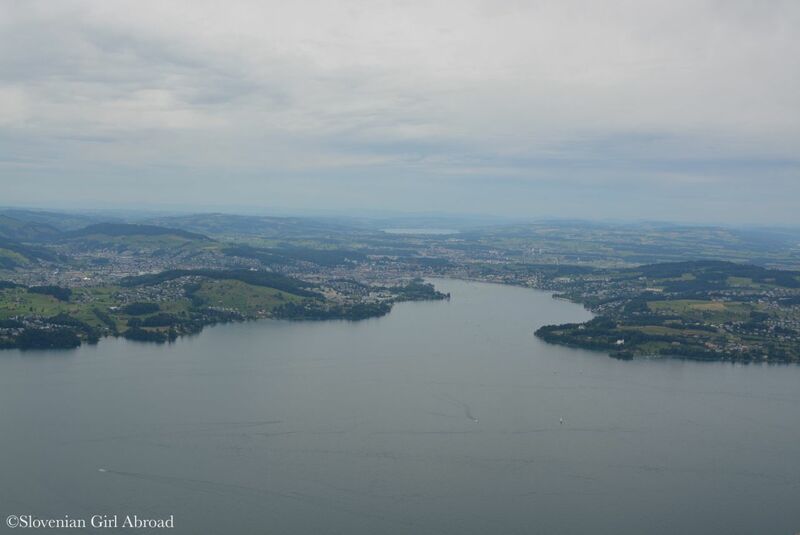 The visibility may not be the best the day you visited it but it still gave out a stunning scenery of Lucerne! I love it! Fantastic photos. 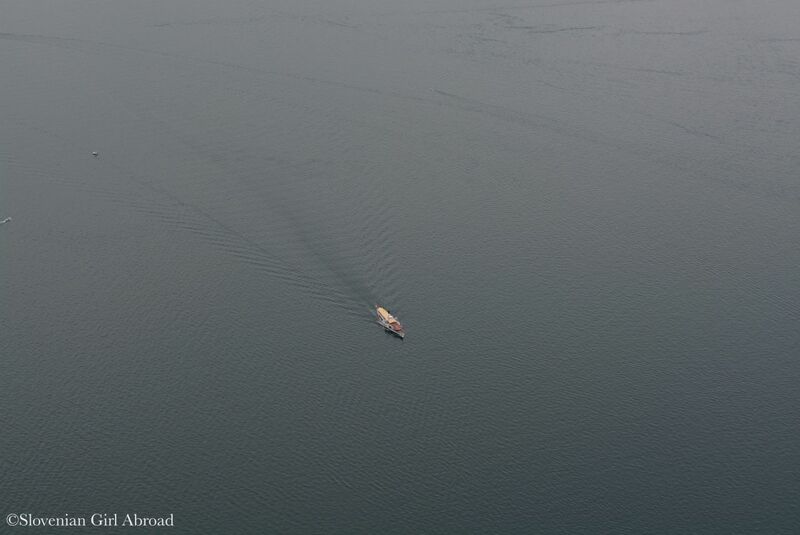 I love the shot of Lake Lucerne!